When it comes to investments, Indians have a wide net to cast their money into. Right from stocks and mutual funds to gold and government securities, the options are aplenty. However, all these investments suffer from ups and downs due to market volatilities or offer returns that cannot beat inflation. There is one investment option however which many generations are enamoured with and that is real estate investment. To own a piece of land or an apartment is a sign of pride, maturity, and true success. While realty may offer you the advantages of price appreciation or a regular income in the form of rent, one simply does not go and buy any piece of land or a random home. So how does one go about investing in real estate? To answer the above question, we’ve demystified the realty sector and explained what you should look out for and keep in mind when it comes to real estate in India. It is a guide that should help you understand the basics so that no broker or realtor takes you for a ride. It never makes sense to invest in a product just because everybody else is doing it, especially real estate. You should invest in properties if you need a new place to move in, have the resources for a second home and can put it up for rent, or wait for its price to appreciate and sell it. And you should have the repayment ability if you take a home loan. Realty, unlike other investments, is expensive. Delve into it after a thorough introspection. If you have delved into it yourself and decided to become a homeowner, then learn the art of waiting or patience. To find the home or land that ticks off your needs is a not a simple task. You will explore many houses for sale, under-construction apartments, and occupied homes. From its location to surrounding zones and even the amenities on offer, to find that one place is quite akin to a needle in a haystack. Patience is what will help you drill through as you explore the places, you do not want to end up in a place you grow to dislike and regret, do you? Each day, you will see construction companies put up ads touting their upcoming projects. You may like the places advertised. If you decide to pay a visit and decide to buy one, remember to check all the papers. Right from all the necessary permits, documents, and clearances; one single error and the project may get delisted or disqualified. Take a certified accountant or a broker friend with you if possible. The RERA Act mandates developers to disclose the carpet area of the properties they sell. Carpet area refers to the usable area in a unit. Simply put, it is the area over which you can literally spread a carpet. This mandate was made to ensure developers do not price and sell their units to customers citing Built-up area or Super built-up area. Thus, you as a buyer will only pay for the usable space in a unit. Most people invest in real estate keeping the monetaryfrom rent or selling it to gain a financial windfall. However, as a newcomer to the industry, know this open yet unspoken fact. Many homes take years to sell or rent. The reasons can range from location and nearby amenities to plain bad luck. Therefore, before investing, check with people and brokers to see if your investment will deliver the returns when you need it. Neighbours can make or break your stay a certain place. It is wise to keep good relations with them. When you inspect a property, try to talk to prospective neighbours. Ask them if the amenities marketed by the realtor match the ground reality, the type of crowds in the area, and how close are the railway stations, bus stops, and hospitals. These questions will help make your decision easier. All the thoughts about owning a home or land go right out of the window if you cannot afford it. Most people take a home loan but banks look at the credit score before approving any application. How good is your credit score? Check it, please. Can you repay the principal with interest? If yes, then go ahead and apply for it. If not, remember any default will create more hassles than you can imagine. 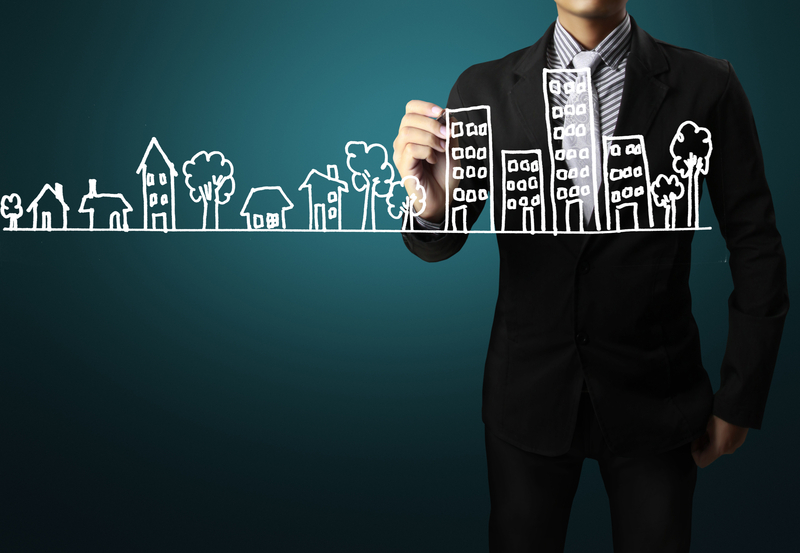 A real estate investment is a delicate choice to make. Keep all your eyes and ears open to ascertain if the unit is a right fit. From price and location to amenities and affordability, consider these factors before signing on the dotted line.